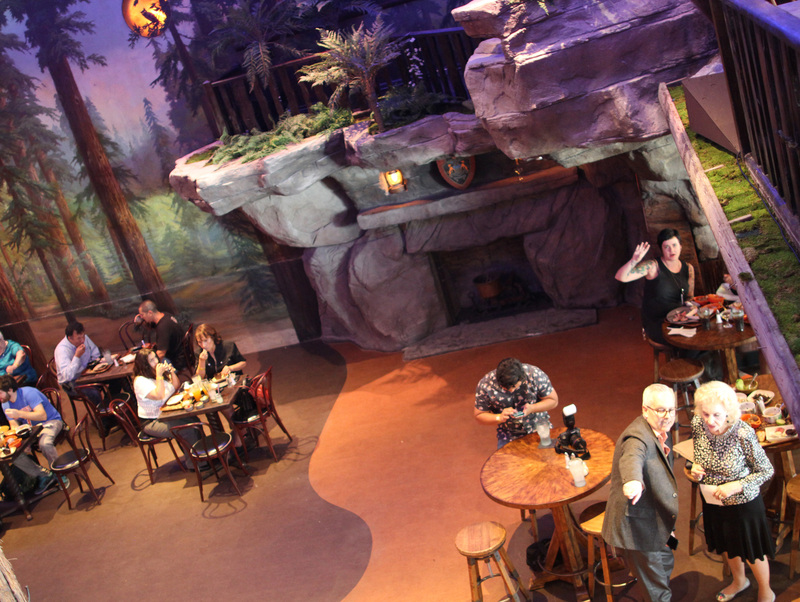 Clifton’s Cafeteria Republic has stopped serving food, but has managed to keep the river of booze flowing throughout the forest-themed landmark. Party rooms, storage space, and back offices were all blown out for a massive expansion that opened a little more than three years ago and gradually added liquor on every level—next up is the basement. Good for them. 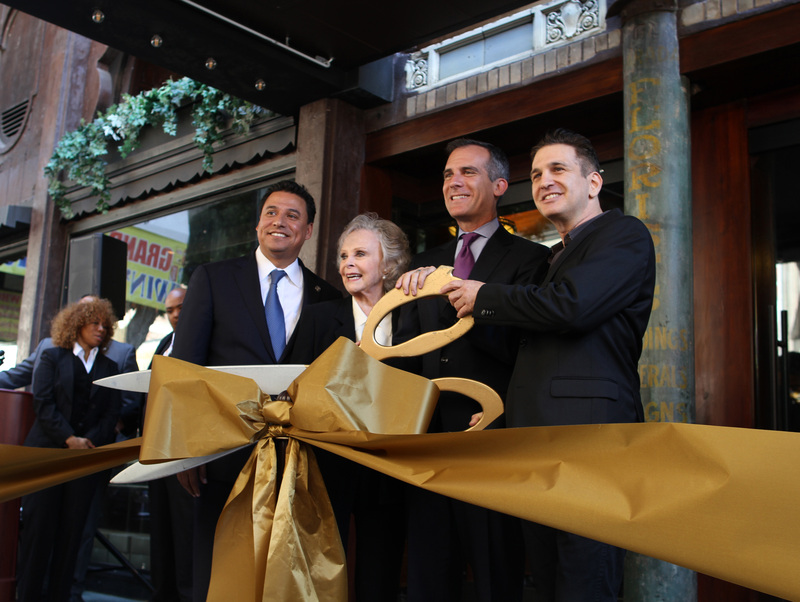 Owner Andrew Meieran knows how to satiate thirsty clubbers and he should get a big shiny award for restoring the iconic downtown restaurant. Wait wait, he did. Meieran is a visionary genius who reinvented a decrepit century-old money pit, and before that, did the same thing at the Edison. 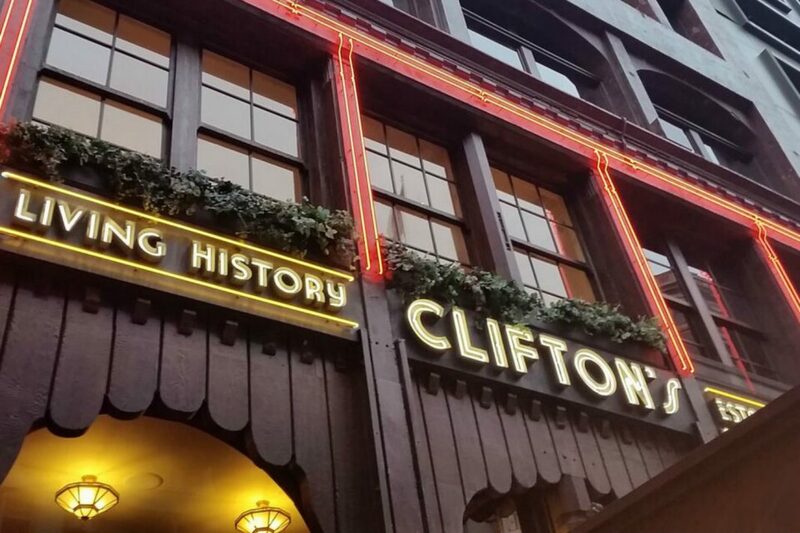 We all agree that it’s beautiful, but Clifton’s. Needs. To. Be. A. Restaurant. “We’ve competed about half of the expansion work,” Meieran tells me. “The new Exposition, which will include a bar, the Marketplace, and some really cool food concepts.” Does that mean that food will come back after another bar and a gift shop? A recorded message this summer suggested a remodel would be completed in six weeks. Six months later the message has become, “We have closed our historic cafeteria until further notice.” In fact, the entire complex is now shuttered Sunday through Wednesday with the five (soon to be six, possibly seven) bars firing up each Thursday through Saturday night. 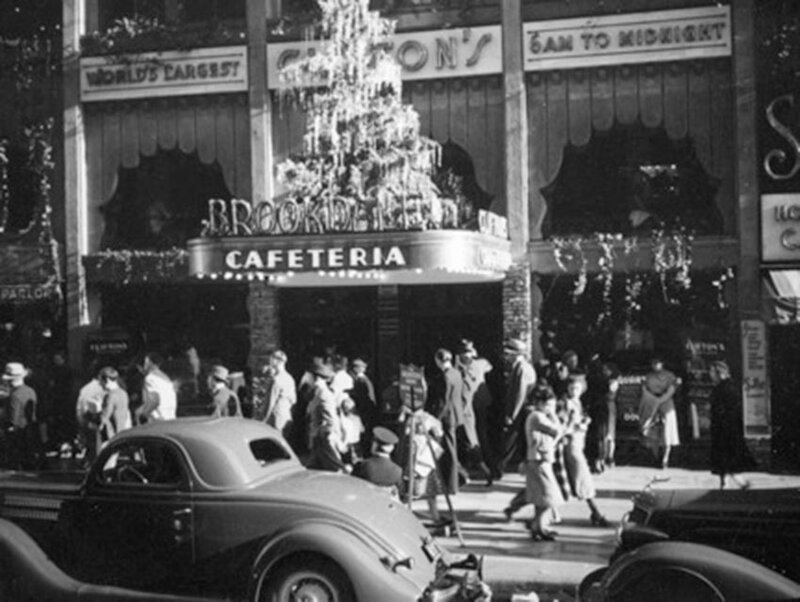 The Old Mill coffee parlor is still providing some sustenance on the ground floor, but the grand glorious feast of the proletariat, the heart and soul of Clifford Clinton’s mass-feeding and soul-saving empire, has been reduced to a coffee counter with pastries. If generations of the Clinton family could keep the steam tables filled with fondly remembered fare, while battling creaky plumbing and tending to the needy lined up at the back door, how can the new stewards not come anywhere near this same basic level of service after three years of experimentation? 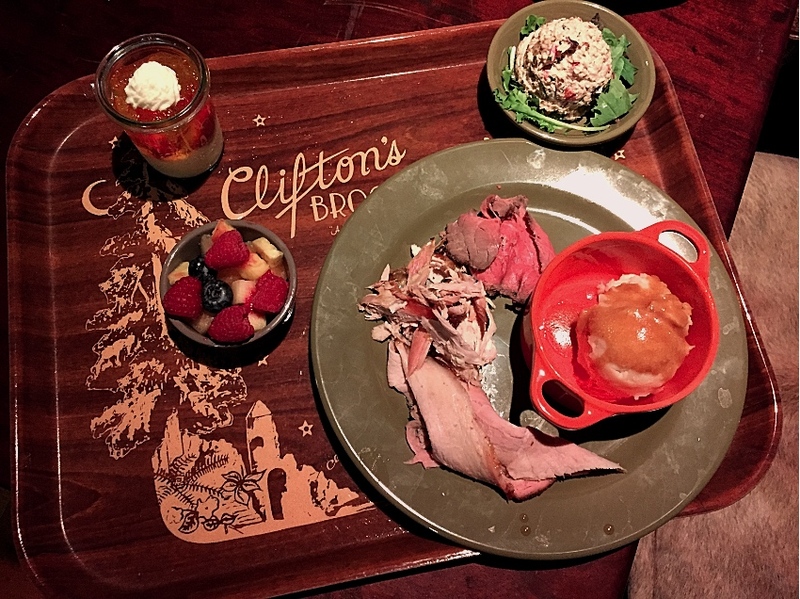 I know you can’t go home again, but Clifton’s was a well-oiled machine for feeding that made people happy. It was a crossroads where the clientele ran rich and poor and both were equally inspired by their surroundings. Meieran is patient and I know that he’s into this project for the long haul. He’s been fine-tuning an incredible-sounding addition in the basement for years, and some type of food will undoubtedly come back, but to salvage its soul, Clifton’s needs to dedicate a corner of the sprawling complex to treasure-hunting kids, and abuelitas, and ex-cons who need a little home cooking. It needs to be that one place where the urban experience isn’t overly sanitized or completely terrifying, just a comfortable respite where hungry humans can come together briefly as a community, a tradition without a velvet rope. Please, Andrew. I beg of you. Give us our hokey old cafeteria back. How about a couple of strict old-timers to keep things running? I’ve been dreaming of those big squares of macaroni and cheese and that dumb chocolate banana cake for seven long years. Please. Order will not be restored in the universe until we get a taste of the old Clifton’s back. Help me Obi-Andrew. You’re my only hope. RELATED: The Secret Life of a Camera Girl in 1950s L.A.